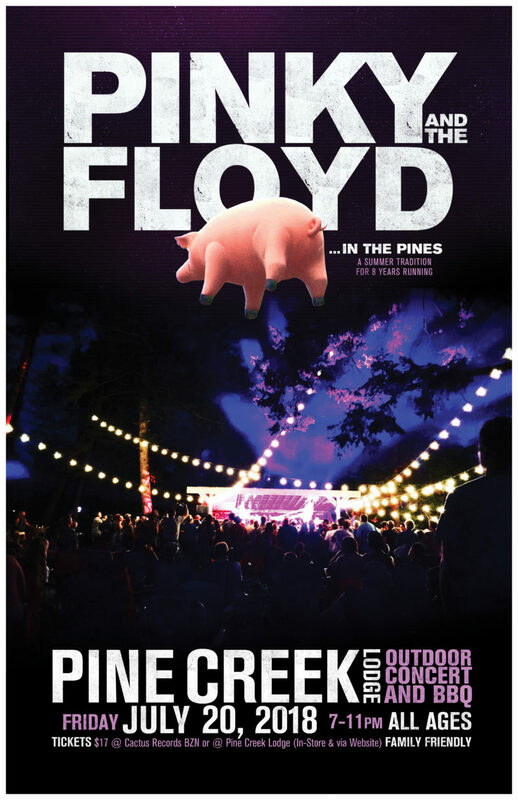 A Montana Summer Tradition (8 years running)… Pinky and the Floyd (9-piece Pink Floyd tribute) returns to Pine Creek Lodge’s outdoor arena, complete with huge sound, light show, big venue grounds, and all the classic Floyd you can handle. It’s an all ages show Friday, July 20, 2018. This show is always a fan-favorite (and always sells out! ), and guarantees to be a uniquely intimate Pinky performance, unlike no other! This is easily one of the bands’ favorite shows of the year! 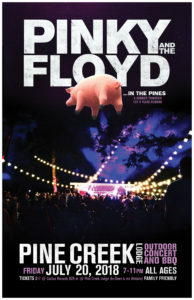 It’s the heart of the summer, an absolutely beautiful setting, and amazing people under the stars of Paradise Valley! Promises to be an event to remember! Please Carpool. Drinks & Food available for purchase. The show is ALL AGES and family friendly, and will happen rain or shine. Come prepared!